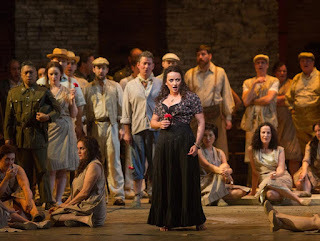 Mary Kunz Goldman - Music Critic: 8 reasons I want to see the Met's "Carmen"
8 reasons I want to see the Met's "Carmen"
I am thinking of going to the upcoming encore simulcast of the Metropolitan Opera's current "Carmen." My friend Meghan suggested it this morning and I said yes and later I was extra glad I did. That was because driving around running errands, I caught the last act on the radio. It sounded great! And now I am psyched. Here are a few reasons why. 1. 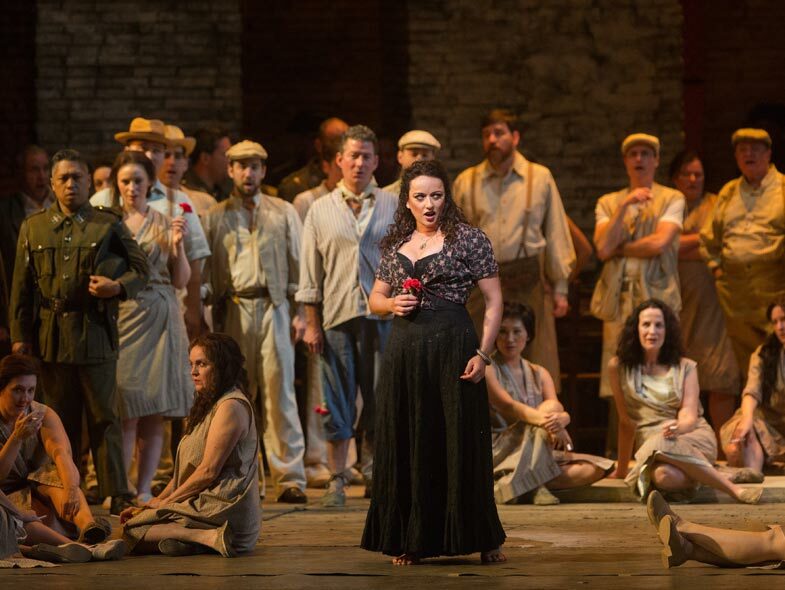 As long as you get out of its way and do not screw anything up, "Carmen" will sound great. Georges Bizet wired it just right. You can pretty much go with confidence. 2. The last act is short but I love how right at the beginning of it, the music slams you into the heat of action. Listening to that bullfight music Bizet came up with, the music that you hear at the start of the overture, you can just visualize the excitement. I think in that respect it is just as good on the radio as it is if you are watching the opera. You just get this splendid spectacle in your head! 3. You also get this splendid spectacle in your head of Johannes Brahms watching "Carmen," which I understand he did over and over. I love watching an opera that Brahms loved to watch. 4. Roberto Alagna is singing Don Jose. It's a part he has sung forever and I would like to see him sing it. 5. Mantilla alert: On the radio hey were describing the singers as they took their bows. Carmen appeared wearing a black lace mantilla. At church I wear a black lace mantilla! That is my style. 6. Those great tunes. I personally love the Seguidilla, when Carmen starts singing about Lillas Pastia's inn and how they are going to go there. That song is where the wheels come off! The wheels sure come off in this Met production starring Alagna and Elina Garanca. Garanca is a live wire! I saw her singing Octavian in "Der Rosenkavalier" and she was marvelous in that but this is like seeing a completely different person. She really becomes Carmen. She takes it to the wall! This production has a different Carmen, Clementine Margain. She has a tough act to follow! She will have to take it to the wall too. She has no choice. 8. The character of Carmen herself ... as the country song goes, I smell T-R-O-U-B-L-E. Poor Michaela, singing to Don Jose about his mother, never stands a chance. That is the moral of "Carmen" in case you were wondering. That is the takeaway. If you want to get the guy, do not sing to him about his mother. Everything you need to learn in life, opera teaches you!